The Fiberfab plastic bodies for VW chassis are attracting considerable interest. 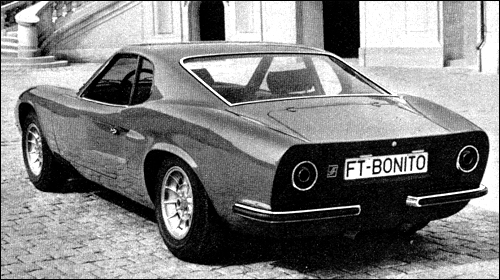 Currently available models are the Ft Bonito, which fits on the base of the Beetle VW, and the Bonanza GT for the chassis of the VW 1600. The Bonito costs as a kit for self-build about 3600 DM.